Love that pink gingham! It looks gorgeous with the coral pants and your top bun! Loving the pink and gingham and your bun is so perfect! 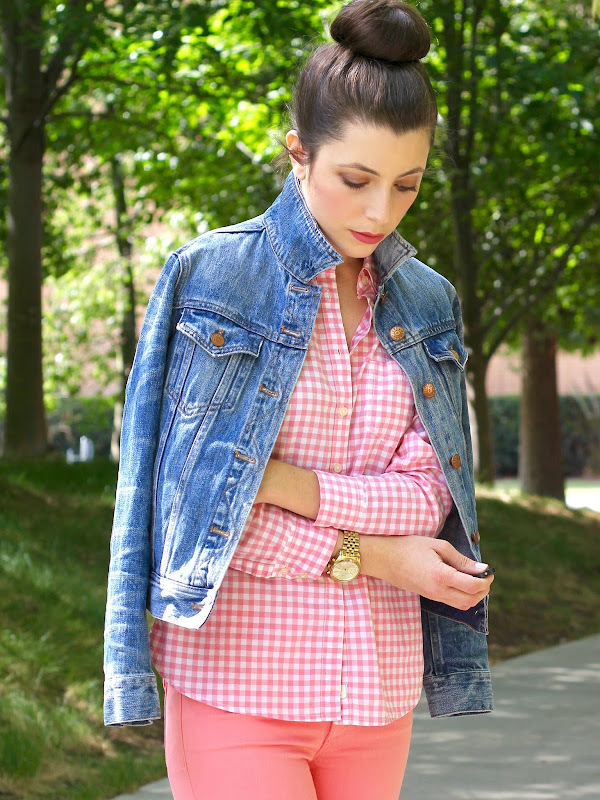 Love the denim jacket & checked pink shirt combo!! !